Resale trends for Class 4 through Class 7 trucks are holding firm, with price pressures being balanced out by an increase in market resource buying opportunities, a favorable economic climate, and an improving supply of good used trucks, Black Book reported. “This will keep a lid on pricing growth,” said Charles Cathey, heavy-duty truck editor for Black Book. The average monthly depreciation for the medium-duty truck market (four- to 11-year-old models) was about 1.1 percent from March 2014 to March 2015, and about 1.4 percent over the previous 12 months, according to data from Black Book. The two- to three-year-old models displayed less depreciation, at 1 percent and 1.3 percent for the 2014-2015 and 2013-2014 periods, respectively. This depreciation rate is normal, and the trend is expected to continue, according to Cathey. In addition, it is predicted that relief in inventory shortages will take place when the expected new truck orders are delivered. As a result, the volume of trade-ins will increase, providing the necessary used truck inventory. “This influx should remain strong as the years continue. This will give dealers the opportunity to grow their used inventory,” Cathey said. 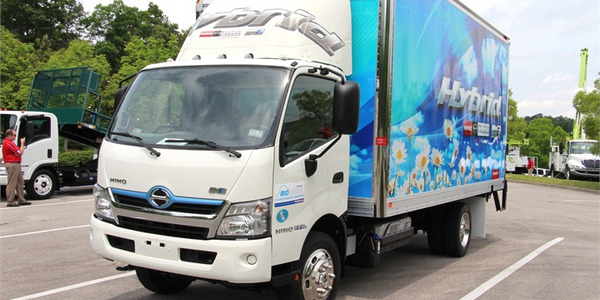 Increased buying sources for businesses to update their truck fleets. Expected increase in supply of used trucks. One of the major resale trends in the Class 4-7 truck market is that used-truck buyers, whether small- to medium-sized fleets, have a variety of sources to buy from. 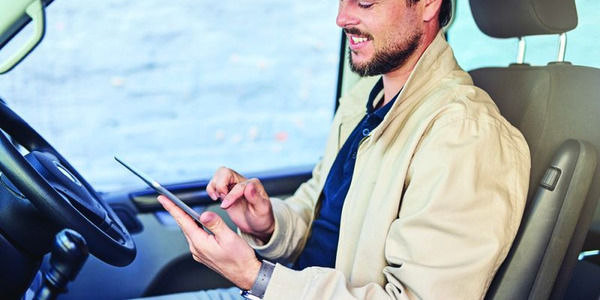 Businesses have more opportunities to update their truck fleets, and a more stable economic environment gives businesses more confidence to take advantage of those opportunities. “The traditional dealer network still exists both on a large and small scale, but there are also other venues now available. Although this is not a new trend, the industry is seeing more players,” Cathey said. Traditional auctions sell to dealers, but some of them also sell to the end user, and a number of heavy-duty auctions sell to any used-truck buyer, big or small, as long as they qualify and can pay for their purchases. Online products that list thousands of trucks via websites also give the buyer a source to shop, as well as offer franchise dealers, independent dealers, individuals, OEM sales locations, and exporters and companies of all sizes a venue to list and often sell their inventory. Some companies — including truck lines, full maintenance leasing companies, finance leasing companies, and daily rental companies — sell direct and may also offer limited warranties and financing. “If you are in the market for a used Class 4-7 truck, you have a long list of sources available for you to hopefully get your best deal. This holds price growth in check and provides for a healthy and active market,” Cathey said. Another major trend when purchasing a newer used Class 4-7 truck is that the truck is likely to be diesel powered. Diesel engines in these newer vehicles are equipped with a diesel particulate filter to filter out nitrogen oxide (NOx), which is the pollutant in diesel exhaust that the emission standards of 2007 and 2010 were designed to drastically reduce. In addition to the diesel particulate filter, newer diesel engines are equipped with either exhaust gas recirculation (EGR) or selective catalytic reduction (SCR). The choice of companion emission equipment, and corresponding reliability and economic cost, will factor into the demand for replacement trucks, according to Black Book. An EGR system requires less hardware than SCR, which includes a reservoir (similar to a very small fuel tank) that holds diesel exhaust fluid (DEF); while DEF is sprayed into the exhaust gas of diesel fuel to decrease nitrous oxide. Some of the 2007 and newer used trucks have EGR-equipped engines, but many have SCR-equipped engines. Since the first quarter of 2014, all Class 4-7 medium-duty diesel trucks have been manufactured with SCR-equipped diesel engines. Generally, there are many factors that need to be looked at when buying a used medium-duty truck. 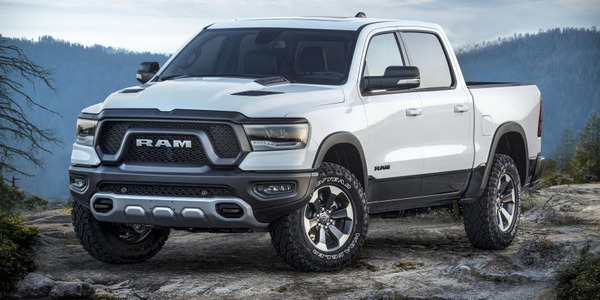 Mileage, condition, existing warranty, and maintenance records need to be reviewed when buying trucks with either the EGR or SCR emission systems. “There is definitely a trend toward automatic and automated manual transmissions in Class 4 through Class 7 trucks. 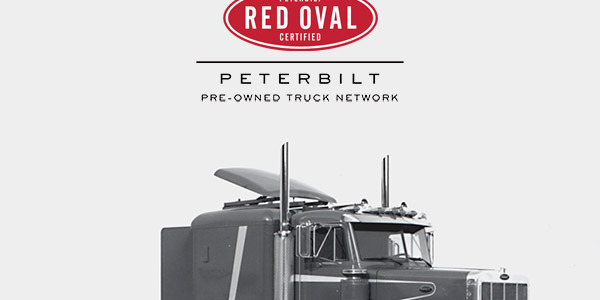 Many Class 4 and Class 5 trucks come standard with an automatic or an automated manual transmission. For some time now, automatics have been very common in many medium-duty trucks, including those in Class 7. Less maintenance, better fuel mileage, and ease of operation are probably the three primary pluses when choosing an automatic or automated manual. This trend is definitely here to stay,” Cathey said. With the additional weight of emission equipment, manufacturers are trying to cut weight out of their chassis to help maintain maximum payload. “This, along with the continuous improvements to their engines, should give newer trucks an increase in fuel economy. 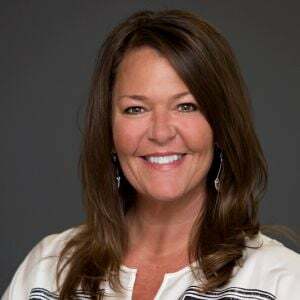 These changes to chassis and engines, along with the creature comforts that manufacturers are starting to put in the truck cabs, will raise the initial cost of the new truck, which, in turn, will cause the used-truck wholesale price to increase as well,” Cathey said. Supply and demand has always been the go-to reason for influencing the expected price of a used truck. But, as with most used cars and trucks of all sizes, good specs are also important. “Oddball specs like a 5-speed manual transmission with a single speed rear axle, which is rather archaic and rare, may operate just fine, but can really depress the price nonetheless. No air conditioning or having a truck with a unique paint color also impacts the value of a used truck. 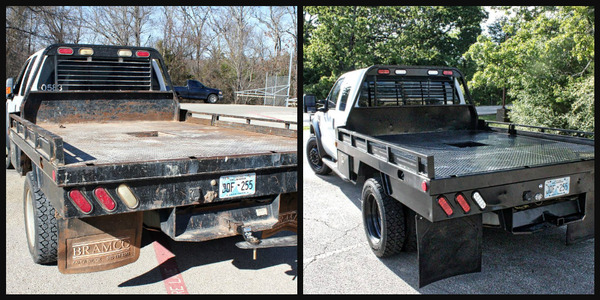 You might like it, but it just doesn’t positively impact the resale value of a used commercial truck,” Cathey said. Another factor that may have an effect on wholesale prices down the road is when manufacturers move into different vehicle classes. Several manufacturers are releasing new models that will compete in segments new to the OEM. “It will be interesting to see how these segments react with more competition. This goes along with the supply-and-demand aspect when looking at future wholesale pricing. How many other manufacturers will bring out new models or drop models? All of this can affect prices,” Cathey said. With commercial trucks of all sizes, it helps if there is a significant need for a truck to make it easier to sell, such as the economy, weather-related situations (floods, tornados), and seasonal conditions (lawn care trucks). 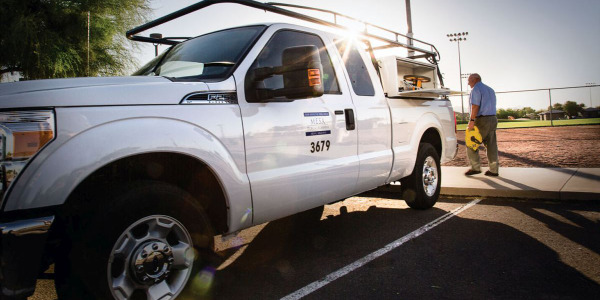 “Companies are constantly replacing and updating their trucks, but additional equipment purchases are what keep the pipeline full and flowing,” Cathey said. 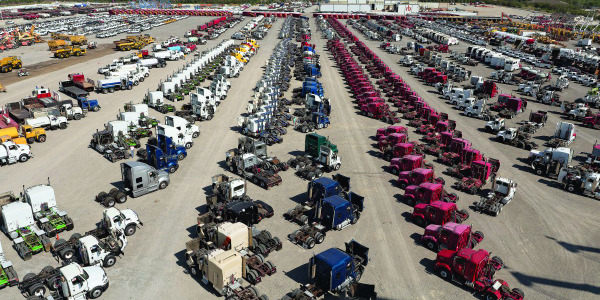 Except for sales at the end of February 2015, there really hasn’t been a good selection and quantity of clean used Class 4-7 trucks for sale at auction or at other venues, according to Cathey. However, the supply and selection quality of used vehicles is expected to increase soon. 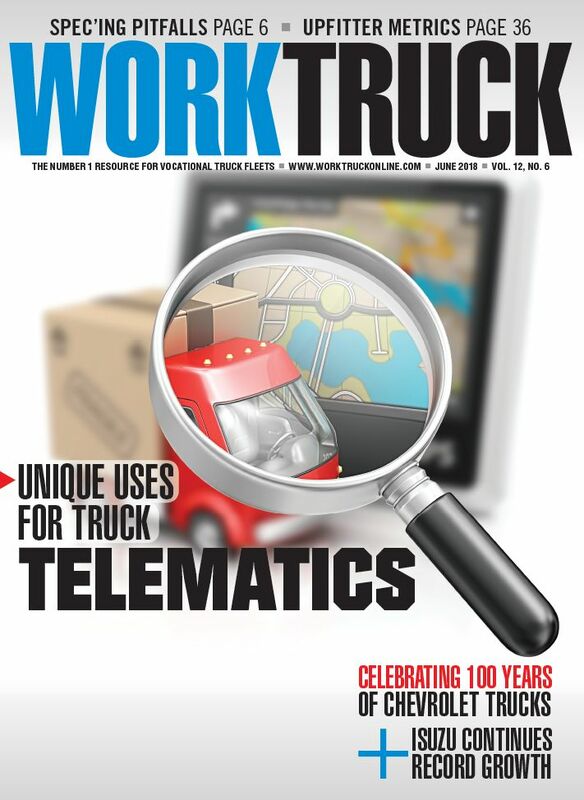 “Well over half — and probably more like 75-plus percent — of new trucks in these classes are cab and chassis. Once they are built, they often spend significant time at a body builder. This is a major reason for the low number of these trucks at the auctions recently. When we get past this delay and new trucks get delivered, we should see more good used medium-duty trucks at the auctions as well as at other venues. Resale values should be good and stable, and should last through the summer with normal depreciation,” Cathey said. 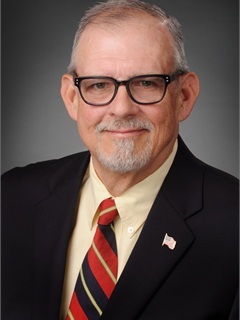 Fiscal year 2014 saw record order banks in the commercial vehicle industry for all truck classes, including Class 8; however, depending on the direction of trade cycles going forward, maintaining these order banks for a long period of time will be difficult, according to Cathey. “One factor that can negatively impact commercial medium-duty volume and values, whether new or used, is another 2009-type economy. Economic cycles will continue, but we need to learn as much as we can from the last downturn to soften the blow of the next one,” Cathey said.